Transforming the property market through technology has evolved the way the sector operates by using the latest innovation that is dramatically complementing the existing service provided for property consumers, investors and tenants. This new generation of property-tech entrepreneurs is redeveloping the multi-billion pound industry by pursuing a change in the way we rent, sell and buy. Technology, not just throughout property, is experiencing remarkable breakthroughs and enhancing the way the world runs at every turn. Long gone are the days it was essential to pick up groceries from your local supermarket, you can now receive your weekly shop to your door at the click of a button from your smartphone. The world is revolutionising all around us, so it was time the property market adapted to the change. So, how can we address this new wave of real estate? PropTech, currently worth £1.9 trillion, is reconstructing the way we interact with property and denotes the process of visiting an estate agent as archaic. As just a small part of the wider digital transformation in the property industry, it considers the technological and mentality change of the real estate industry and its consumer’s attitudes. Proptech allows the industry to flourish to its true potential by offering a number of high street estate agents the facility for potential buyers to visit a property as many times as they wish through a virtual reality headset. Working in the client’s favor, they can discover their desired property through a computer-generated experience, showcasing a realistic experience for each client. Similarly, experiencing 360-degree tours through multiple property websites, such as Zoopla and Rightmove, have become increasingly more common, offering interior views of available houses and apartments. Saving time and money, it enables buyers to get an idea of the property without taking time to visit it first hand, ensuring that investors who are purchasing from overseas are also catered for. Advancements in virtual reality technology are ensuring further progression with the facility of customisation as consumers can watch their visions come to life in front of them. 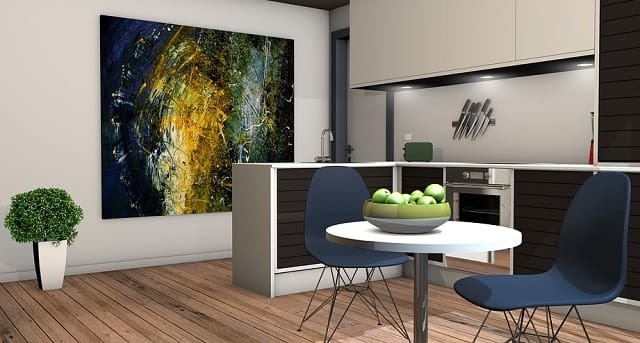 Through personalisation, this strengthens their chance of purchasing as customers can tailor their preferred designs through artificially generated images, highlighting a major advantage for the current property market. RW Invest, property specialists based in Liverpool, are keen to attract overseas investors to their multitude of properties available in the UK, offering unbeatable returns in unrivalled locations with many properties off plan ensuring the potential of personalisation to create your dream home or investment opportunity. Proptech has become much more than an industry buzzword, it has amplified the property market and paved the way for more groundbreaking results. Over ten years ago, virtual reality seemed a futuristic concept that was well out of reach, however now regarded as mainstream, the future can only point towards boundless success as the property industry grasps PropTech with open arms and runs with it, leaving the process of purchasing a new home an exciting, effortless transition for buying, selling, renting and designing. I hope you enjoyed this article about how the real estate industry is being revolutionized with new technology. Interested in more articles about real estate?